The launch of Soyuz TMA-05M from Baikonour Cosmodrome on July 15, 2012. The Russian Soyuz is still the most reliable way to put crews in orbit (Credits: NASA). When trying to understand the realities of the Russian Space Industry one needs to keep in mind that in Russia “Space is big, really big,” to paraphrase the 2005 film TheHitchhiker’sGuidetotheGalaxy. Probably this is why there is no middle ground when it comes to opinions on the condition of the Russian Space industry among Western experts. Some predict an inevitable collapse while others believe that the problems are temporary and fully manageable. The opinion of any particular expert also depends on the fragment of the Russian Space industry with which he or she was involved during the course of his or her professional career. The only reliable way to build a realistic opinion about the big picture of the Russian Space industry is to look at the results. Russia has practically restored the military satellite constellation that had been gradually going out of service because of the 90s financial crunch. It has provided reliable crew transportation and cargo resupply ferry services to the International Space Station (ISS). It has introduced two new upper stages (Fregat and Breeze) to replace Energya’s DM. It has completed testing on the new Bulava ballistic missile, upgraded its sea-launched missiles, and has two more new missiles in different stages of development. It will end its dependence on Ukraine in the nuclear deterrent field during this decade. Development of the new Angara launch vehicle is progressing and two new launch pads are under construction – one at Plesetsk and one at the new Vostochny site in the Russian Far East. The launch site for the Russian Soyuz vehicle is now operational in French Guiana. The joint US/Russia/Ukraine Sea Launch project is back at sea; the project is an engineering marvel and a financial disaster, but its successful operation clearly shows that Russia and Ukraine are still capable of producing engineering marvels. The prestige of engineering professions in Russia is on the rebound and there are up to four applicants for one student placement in the leading technical universities in Moscow. This means that the trend toward an aging engineering staff in the Russian Space industry may be reversing. There were some painful failures: Phobos-Grunt was lost, as were two of Russia’s own telecom satellites this August, one in August of 2011, and three GLONASS satellites in 2010. One of the Progress cargo ferries was lost in August of 2011. Over the same time period in 2012, Russian and Ukrainian launch vehicles were launched 18 times with one loss, the Chinese had 13 successful launches, the US had 11 with one loss, and Europe had five successes. So far, the Russian launch failure rate in 2012 is better than in 2011. There is nothing good about launch losses, but they are part of the game. Some Russian Space companies are oversized, while others are experiencing a shortage of production capacity. All things considered, the overall situation in Russian Space is definitely far from the grim picture painted by Jim Oberg in his September piece “Russians Face their Space Crisis.” As a matter of fact, what is happening now may be slow and difficult, but it’s a definite rebound from the crisis of 90s. At the same time, the assessment in Mr. Oberg’s publication does fully apply to one fragment of Russian Space– Russian manned Spaceflight. Because it is in the public eye, problems in this part of Russian Space obscure advancements being made in other fields. Upon his return from the ISS Expedition 32, Commander Gennady Padalka criticized the Russian Space Program for the spartan conditions onboard the Russian inhabited module Zvezda, citing 20 year old equipment, cramped living quarters, noise, and cold. Padalka stated that the planned one-year missions cannot be performed under such conditions. The equipment is certainly old: the frame of Zvezda was built in 1985 and the basic equipment was installed in 1986. For a long time Zvezda was known as Mir-2, as it had to serve as the base module for the new Russian Space Station. It was rebranded as an ISS Service Module in 1995, and was launched on July 12th, 2000. The initial design was for a module of the Polus military platform and requirements for living conditions on Russian military spacecraft are far more relaxed. Padalka has nine spacewalks and almost two years in Space under his belt, so he is certainly an expert. What is surprising is the reaction from officials. In a manner very uncommon for Russia, Padalka’s criticism was not rebuffed; in fact, later comments from the Head of the Space Agency, Vladimir Popovkin, echoed Padalka. 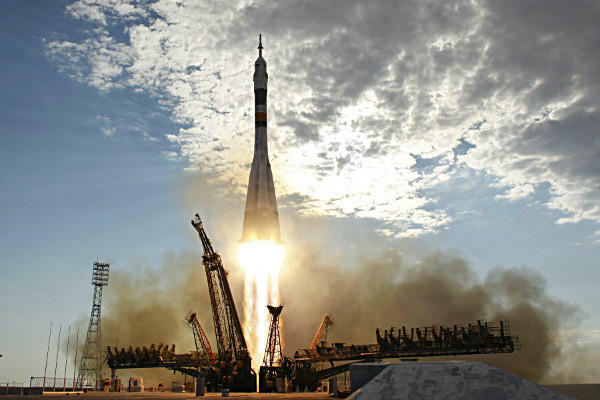 Manned Spaceflight in Russia is handled by RSC Energya. Everything Jim Oberg wrote fully applies to this company. It is oversized and still living on gigantic plans of a Cold War-scale, while the commercial side of Sea Launch operations is hardly impressive. According to the Russian media, RSC Energya may expect up to US$1bln in losses in 2013. The situation of the company is further complicated by the end of the operation of the DM upper stages, which provided it with a constant stream of revenue from all Russian commercial space launches. The new Breeze-M and Fregat certainly have their problems and still need to mature, but Energya has no stake in them and has to pay for their procurement. In this regard, Padalka’s criticism of the Russian segment of the ISS is very timely: a government contract for a new orbital module for the ISS will certainly mitigate Energya’s problems and allow it to continue to rely on money from taxpayers for the next 3-4 years. However, this is just RSC Energya. It is only a part of the Russian Space industry. The industry overall is in transition. The Russian government is planning a structural reform that will transform the Russian Space Agency into a State Corporation, following the same suit as the Rosatom nuclear monopoly. The state unitary enterprises will become joint stock companies able to attract private capital. In two to three years we will see a different Roscosmos that will be even more pragmatic, slimmer, tougher, and more effective. Opinions expressed are those of Dr. A.Zhalko-Tytarenko and do not necessarily reflect the positions of the IAASS, the ISSF, or Space Safety Magazine.